The voice will pull you in right away — it's smoky, seductive and passionate. There's no chance of escaping the spell of Keren Ann. Since 2002, the Israel-born artist, who splits her time between New York and Paris these days, has racked up accolades for her original compositions that put a fresh perspective on the age-old art of songwriting. Additionally, she produced her previous two albums, the gorgeous Not Going Anywhere (2003) and the even more mesmerizing Nolita (2004). 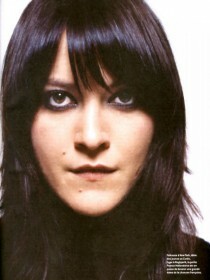 With recording knowledge and the technical finesse, she zeroed in on refining how the sounds were manipulated and layered for new album. With a vast arsenal of vintage pre-amps and compressors, as well as the latest technology in her home studio, the possibilities were infinite. 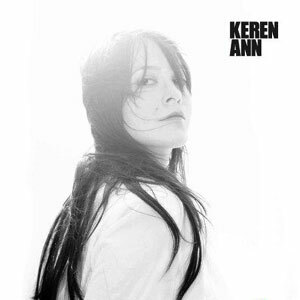 The arrangements and productions on Keren Ann, her new self-titled album of original, English-language songs, are ripe with subtle surprises, imbued with an organic character that belies the scrutiny with which she refined the album. "Lay Your Head Down" is propelled by handclaps, harmonica, and a mix of legato and pizzicato strings, all rolling beneath a circling guitar riff and blissful vocal. "It Ain't No Crime" lumbers forward in heavy boots, dirty guitars and distorted drums churning in a dark, pensive vortex. Cuts including "The Harder Ships of the World" and "It's All A Lie" reveal new facets of her evolving artistry and the mélange of flute, spaghetti Western guitar, and piano on "Where No Endings End" comes across as almost medieval in its austerity. Some cuts are stripped down, others boast a big rock sound. Source materials were tinkered with in her home studio, yet nothing of Keren Ann sounds homemade. 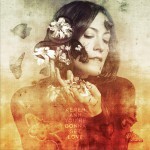 "It is really hard to make a song sound good with just guitar and vocal," Keren Ann concludes. "I wanted to take every element of sound, and then toss and twist it around. It really is like painting in sound."